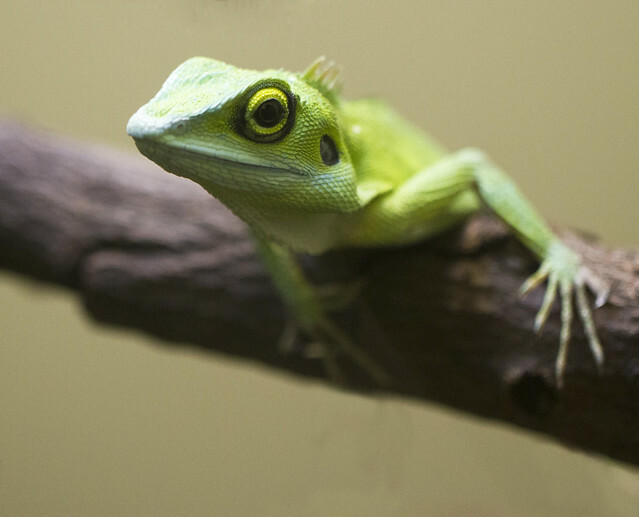 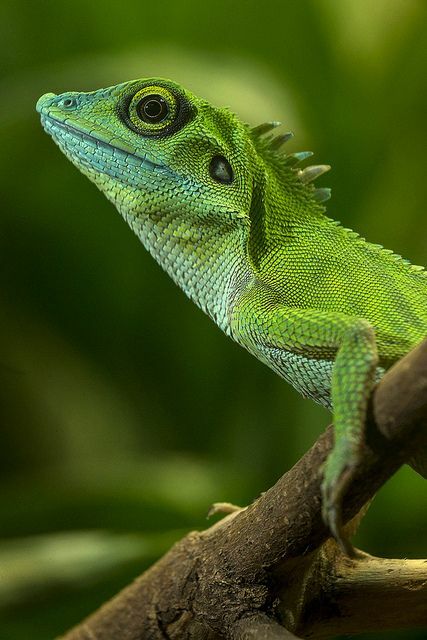 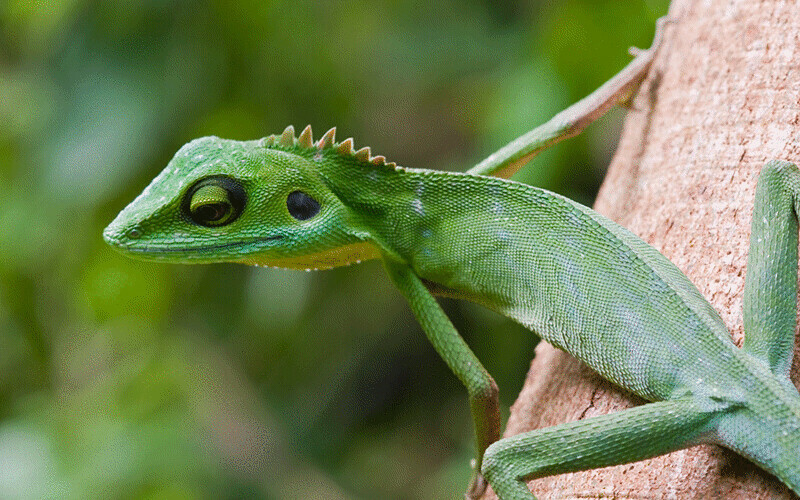 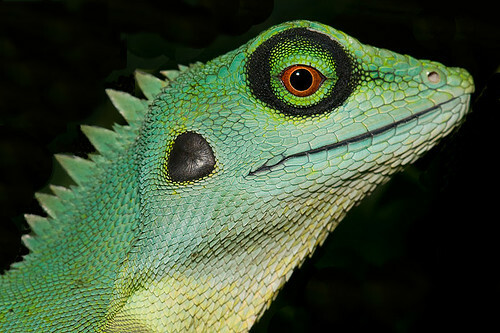 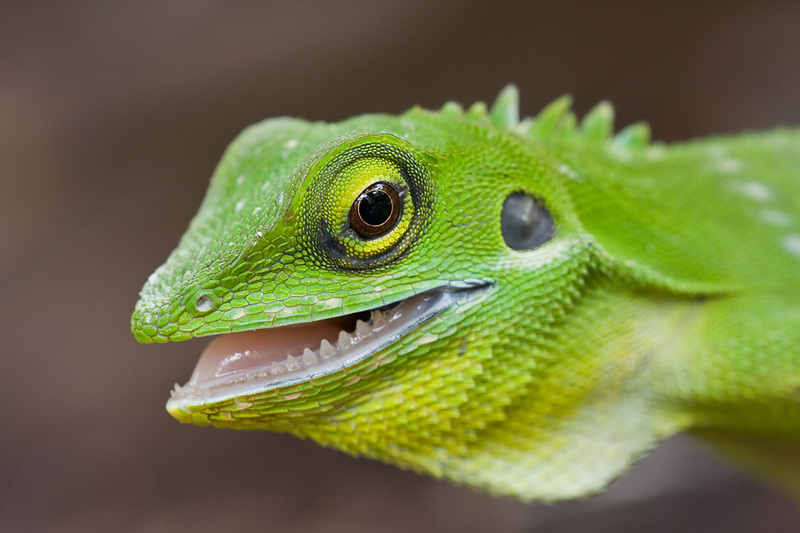 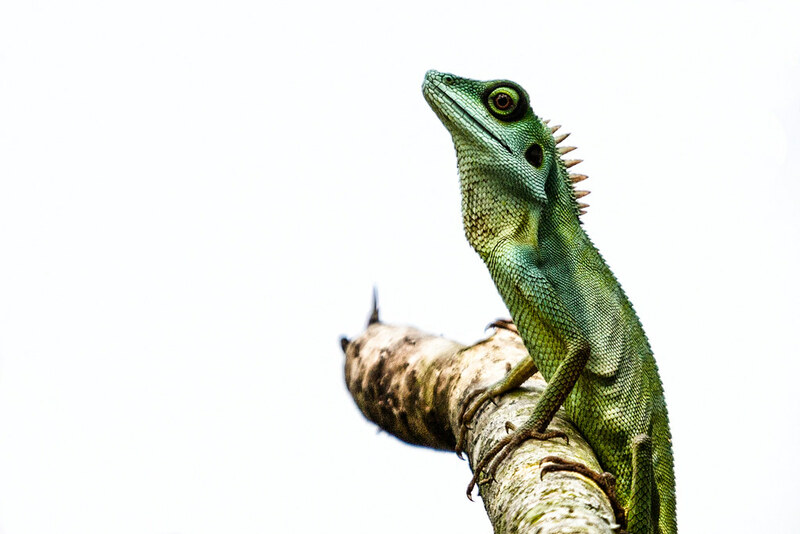 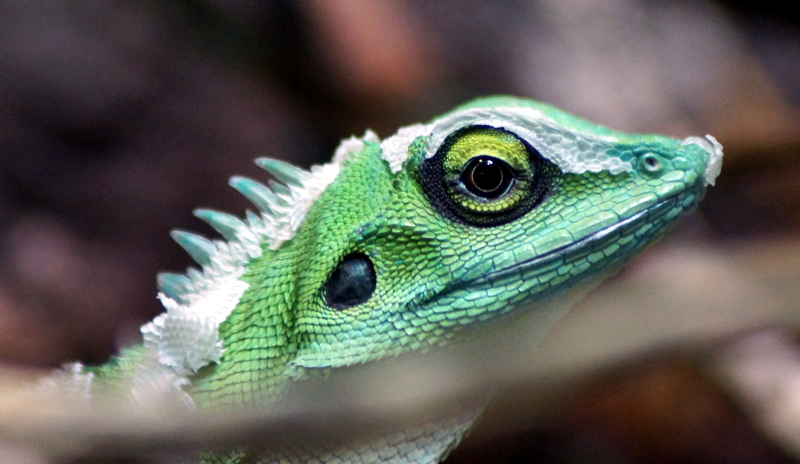 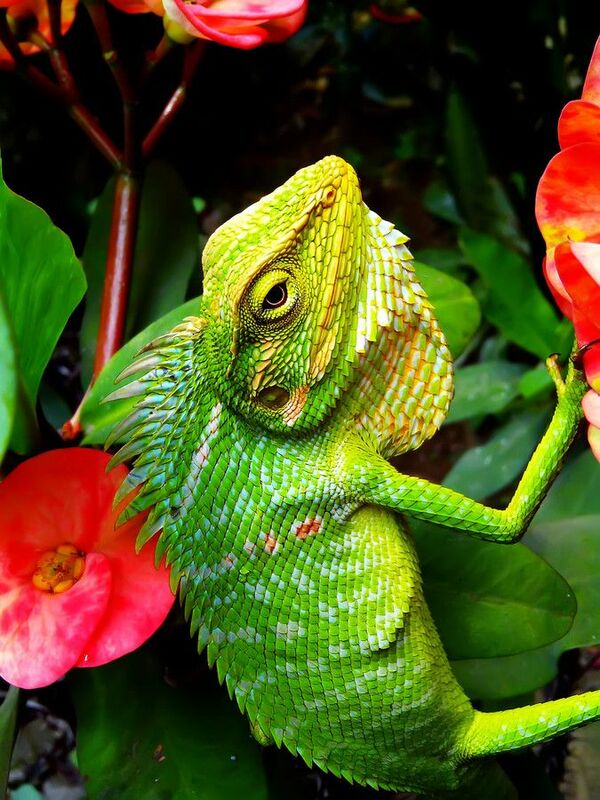 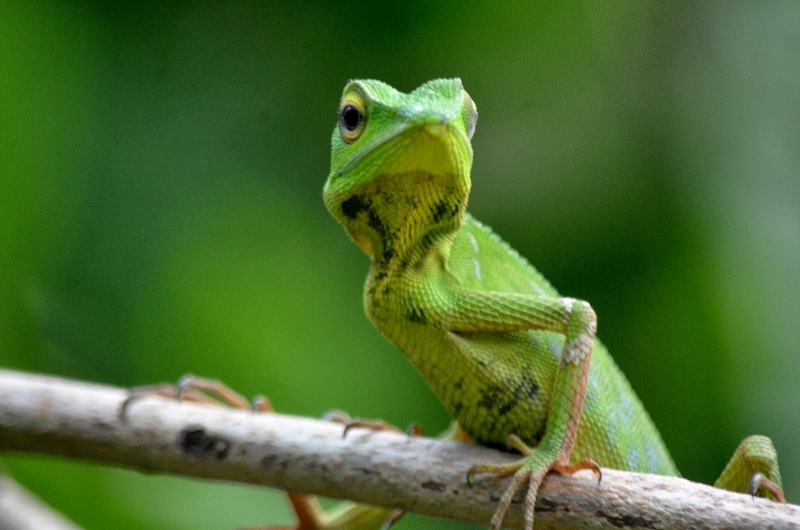 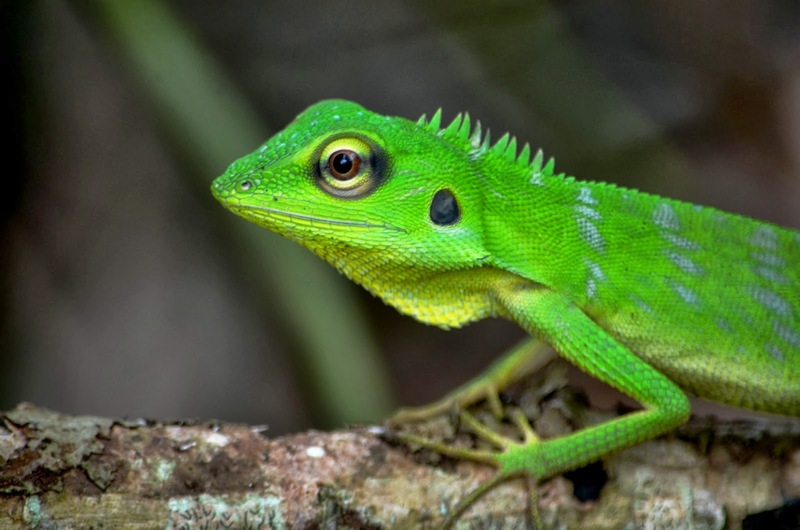 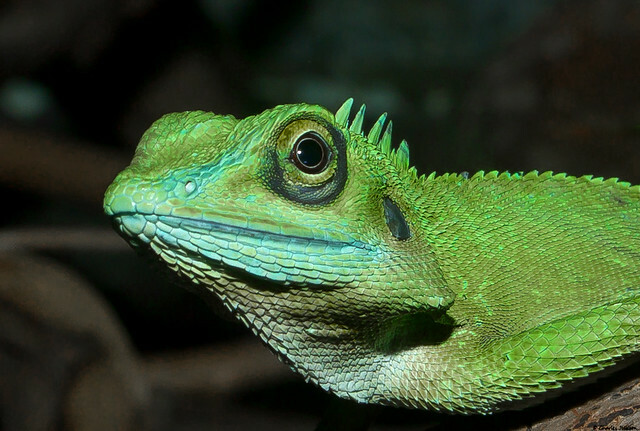 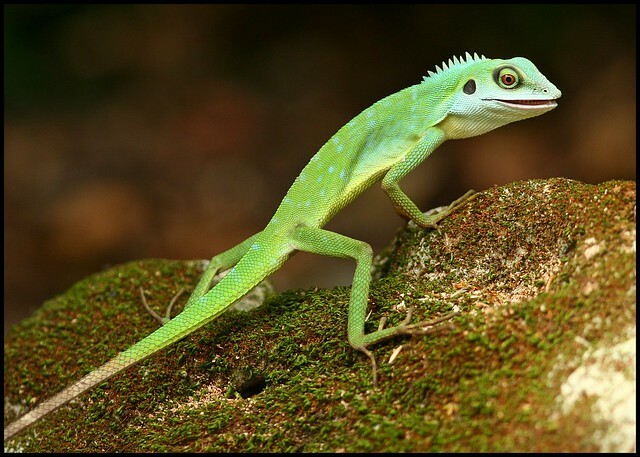 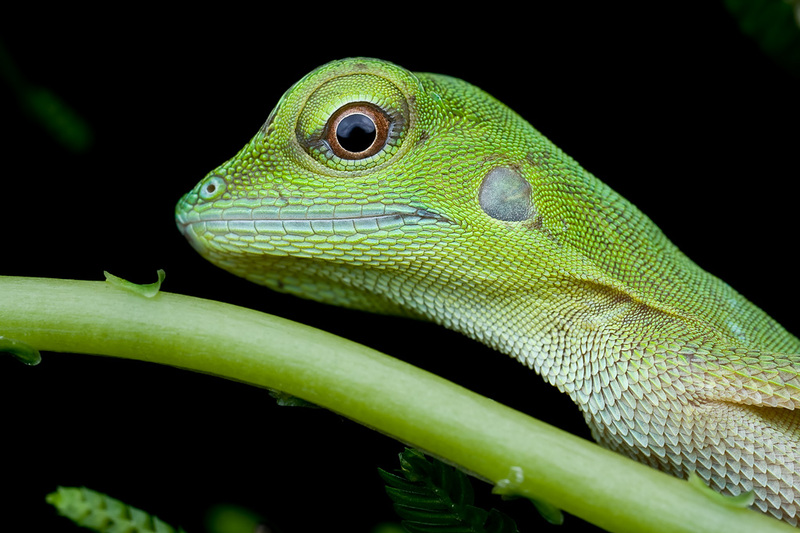 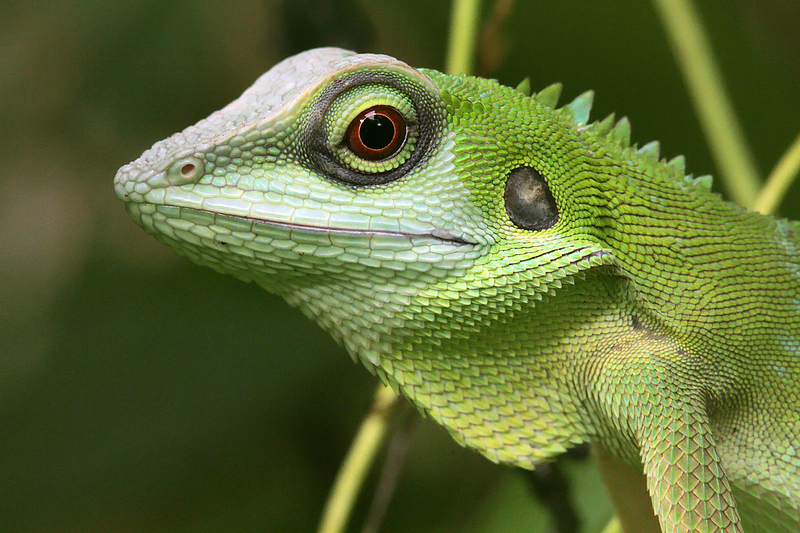 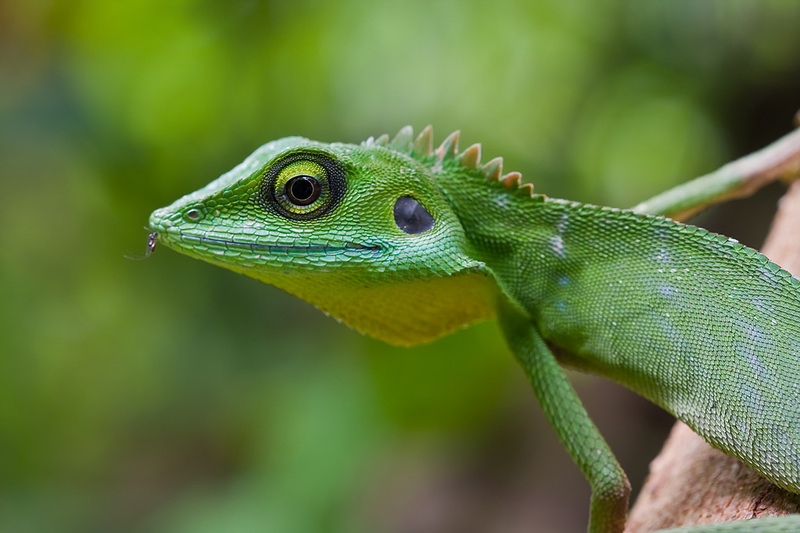 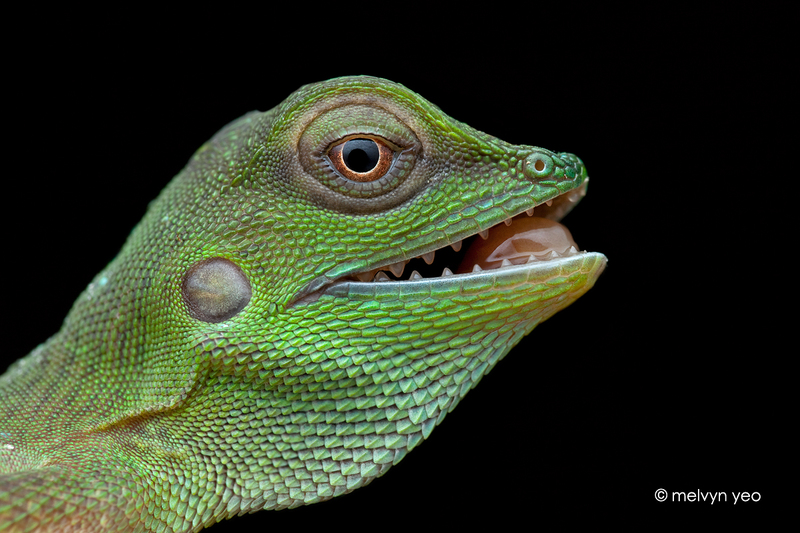 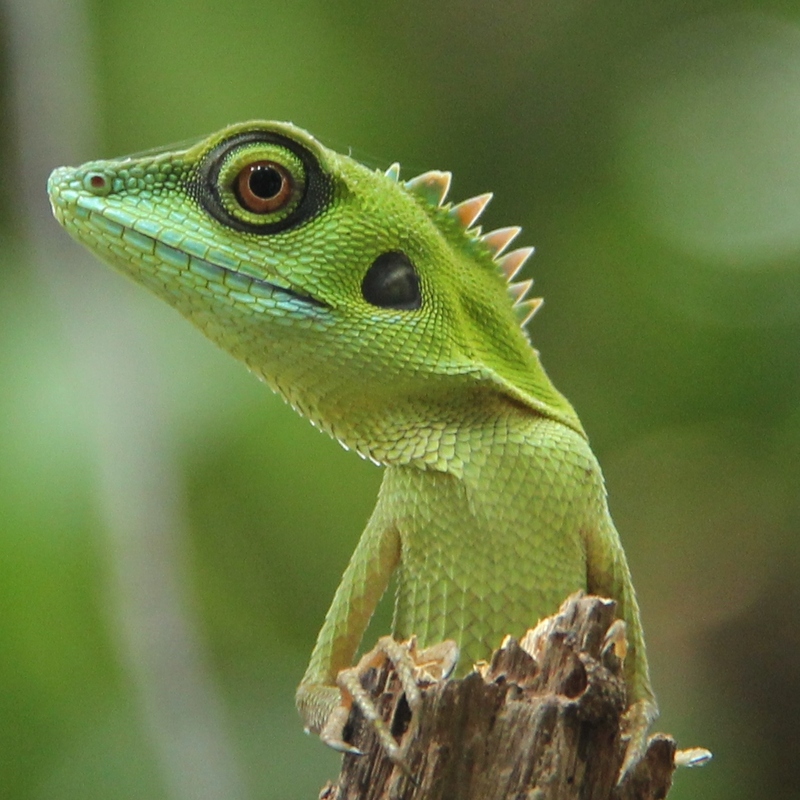 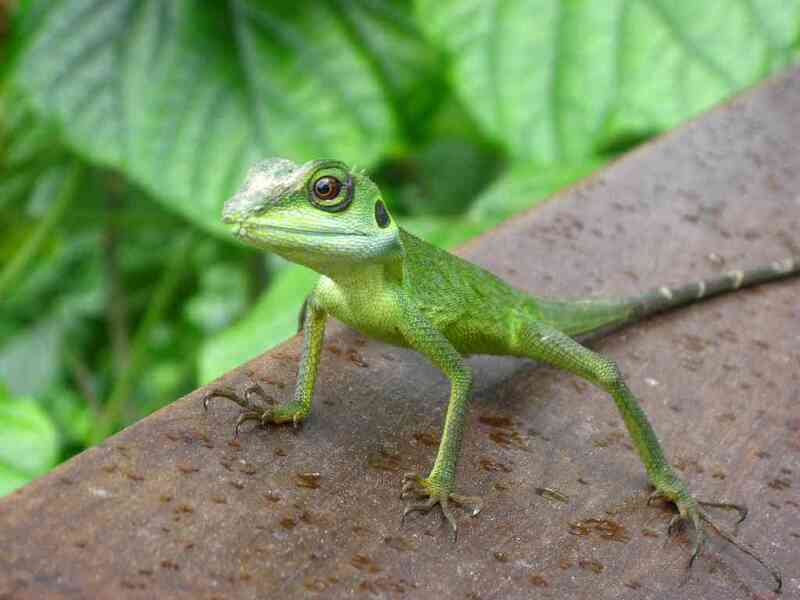 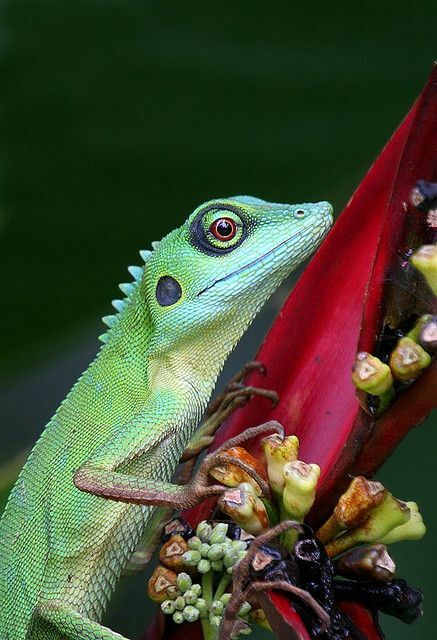 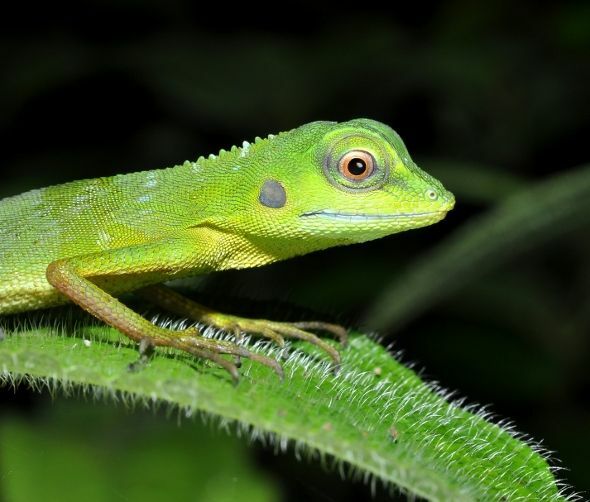 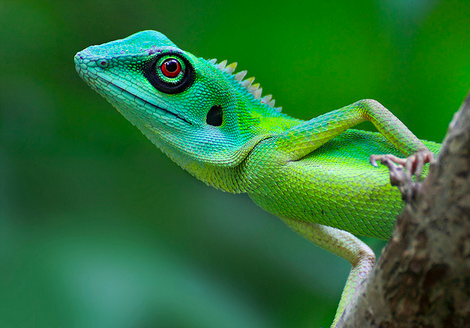 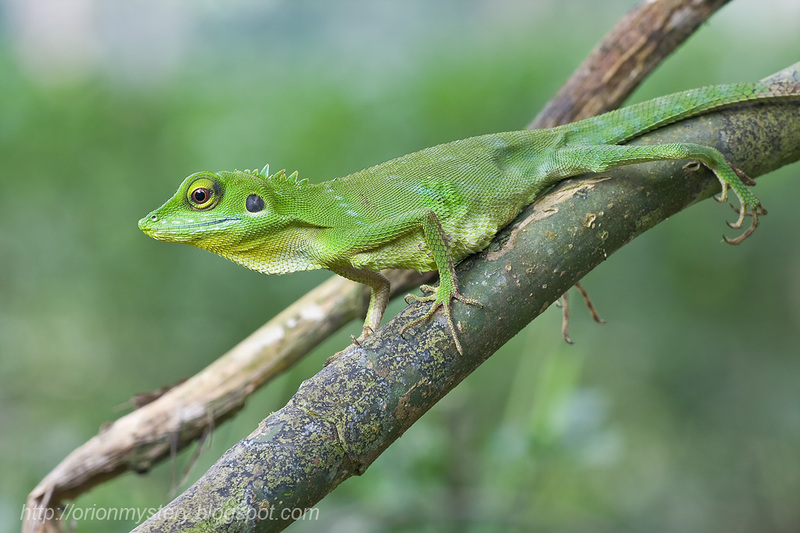 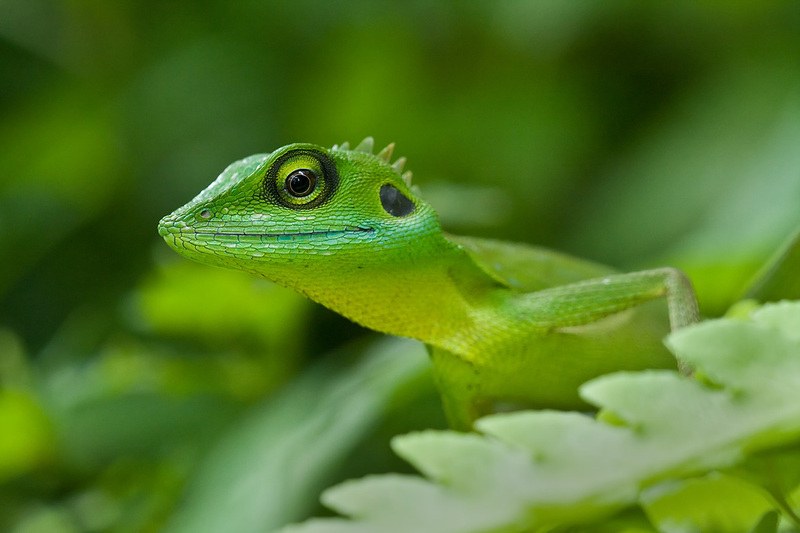 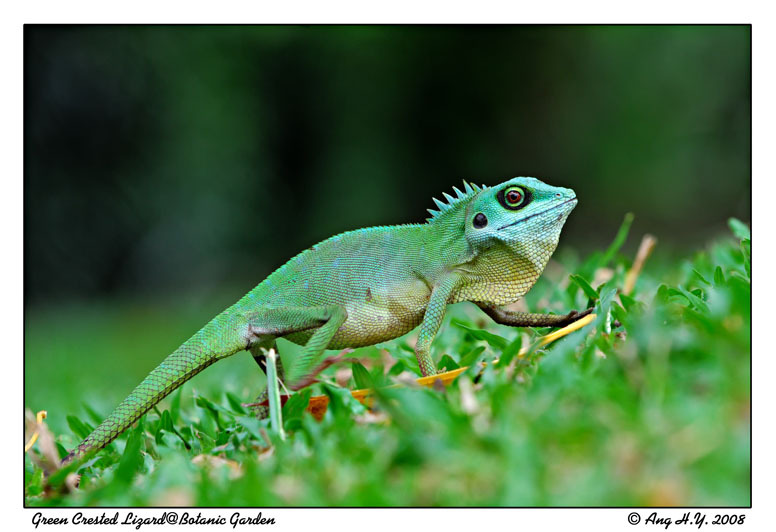 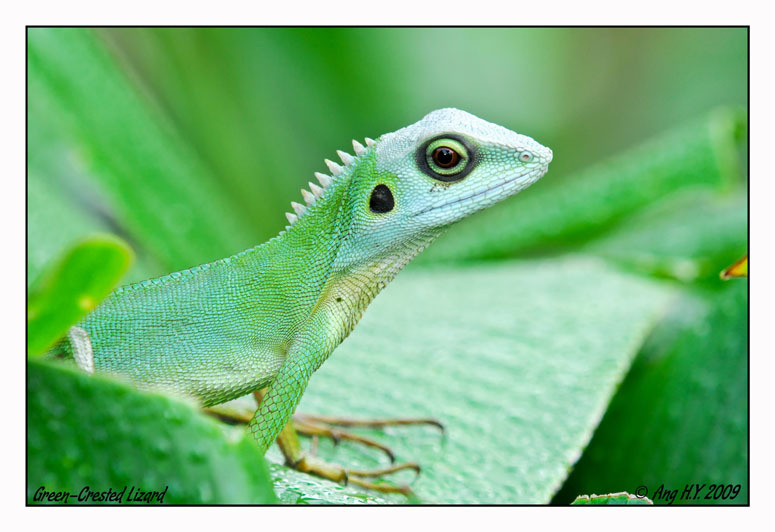 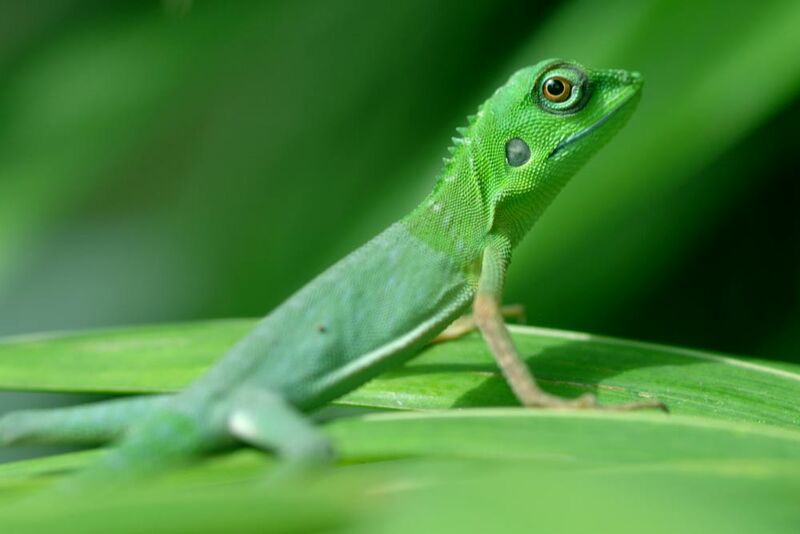 This species is a bright green lizard, sometimes possessing a blue tint on the head. 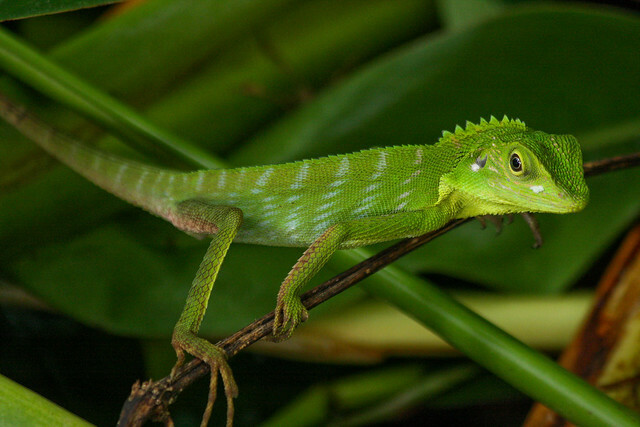 It is able to change colour, turning darker brown when threatened. 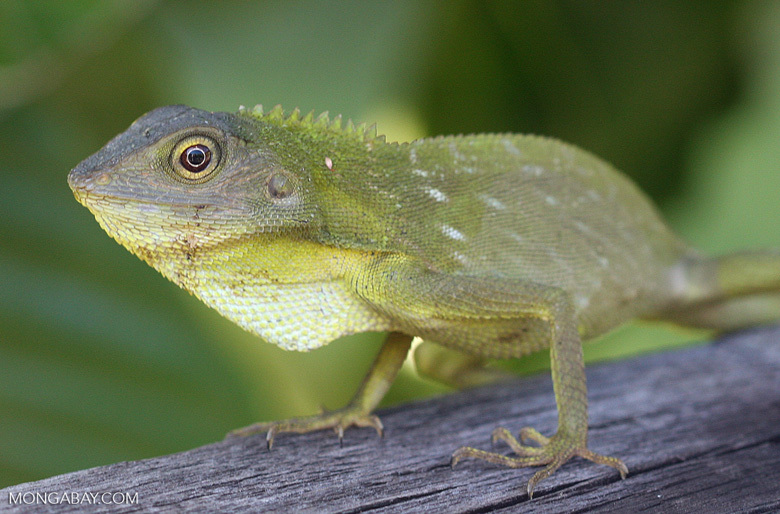 There is a dark ring around each eye, and a dark spot at the back of the head. 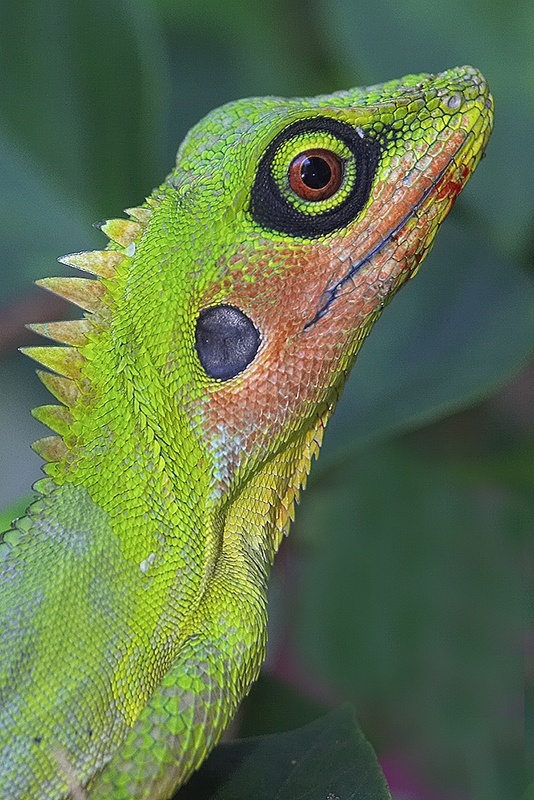 The males have a crest on the neck. 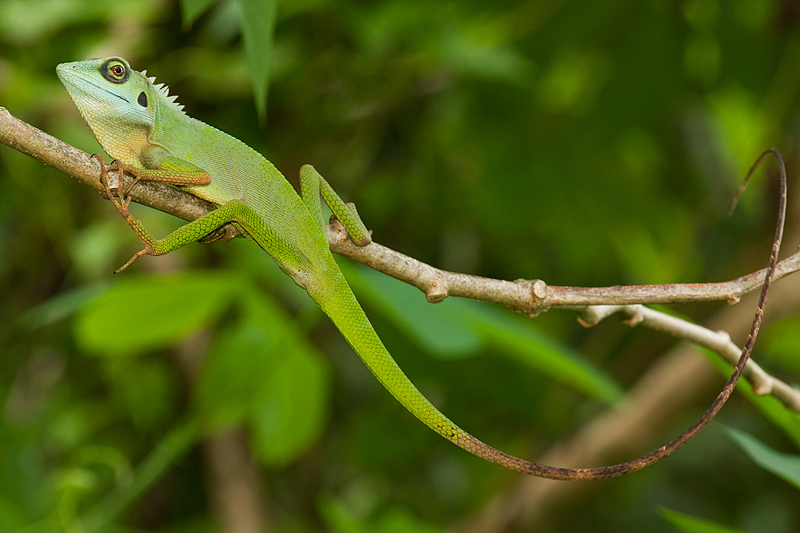 It has a very long and thin tail (75% of total length). 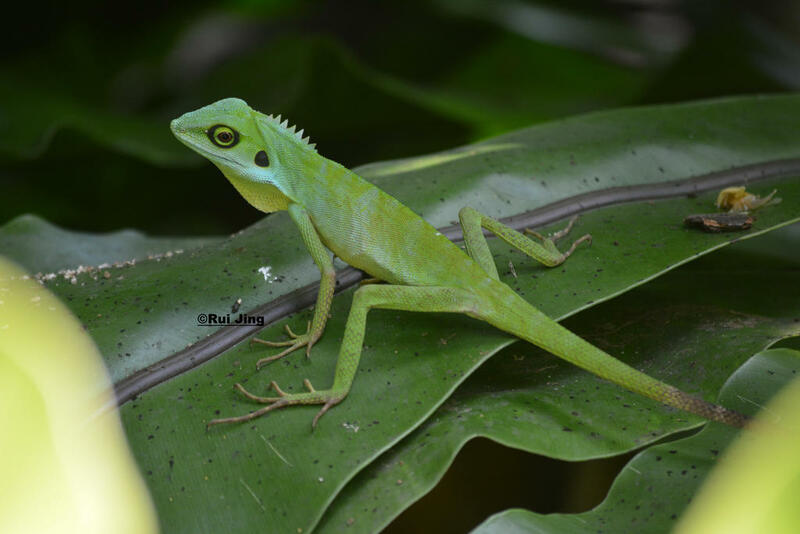 The body length is of 13 cm (5. 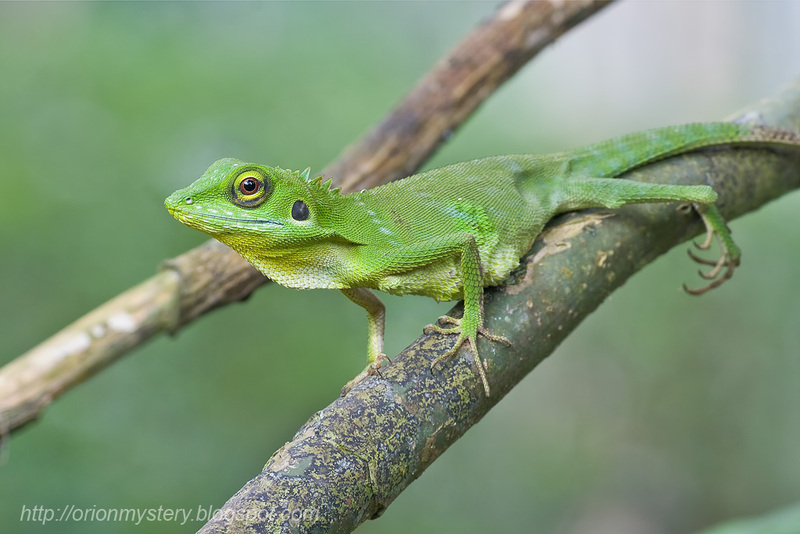 1 in), and the total length (body + tail) is of 57 cm (22 in).